This image was inspired by me not being able to get the music out of my head. 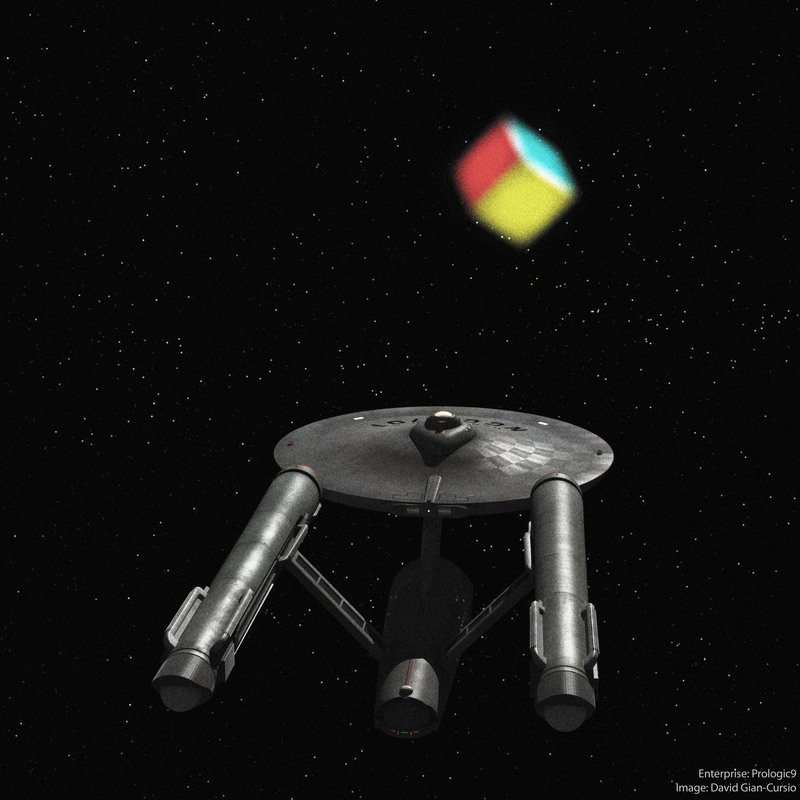 I had some trouble getting exactly the right look for the cube. It seemed to be either/or in regards to having each side having a definite color versus flaring to near-white at the middle. So, what is the Klingon word for “bait,” anyway? 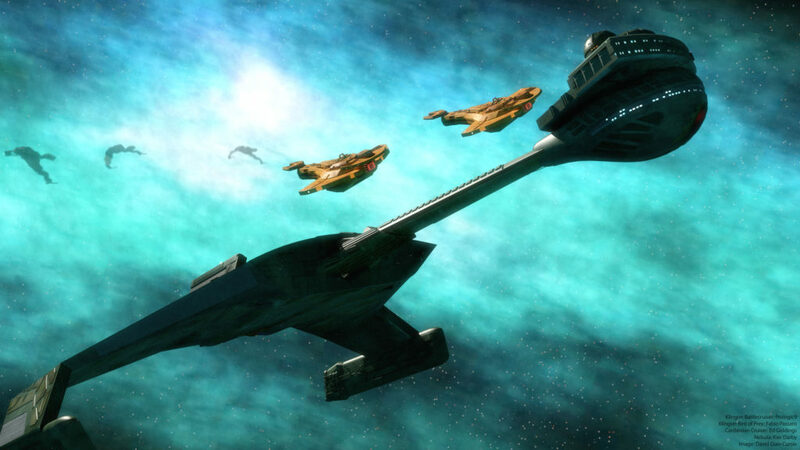 It was overshadowed by later developments in the show, but Deep Space Nine had a bit of backstory about a history of conflict between the Cardassians and Klingons, including a “incident” in a certain nebula that lasted for 18 years. 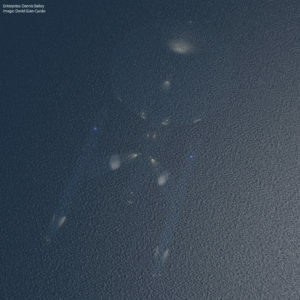 The cloaking effect on the Birds of Prey was done with the smudge tool in Photoshop, which is probably not the best way to achieve that effect. I wanted to do something with Voyager’s adorable stubby little legs. Hiding behind an asteroid seems like a good enough use. One from the archives today. This is actually a frame from a roughed-out animation I’ve put on the shelf, an opening credits sequence for the “Seekers” novel series. This version is notably unpolished in lighting and scene setup (one thing I wanted to definitely add were TOS-style Travel Pods buzzing around, based on some unused John Eaves designs for Star Trek ’09). 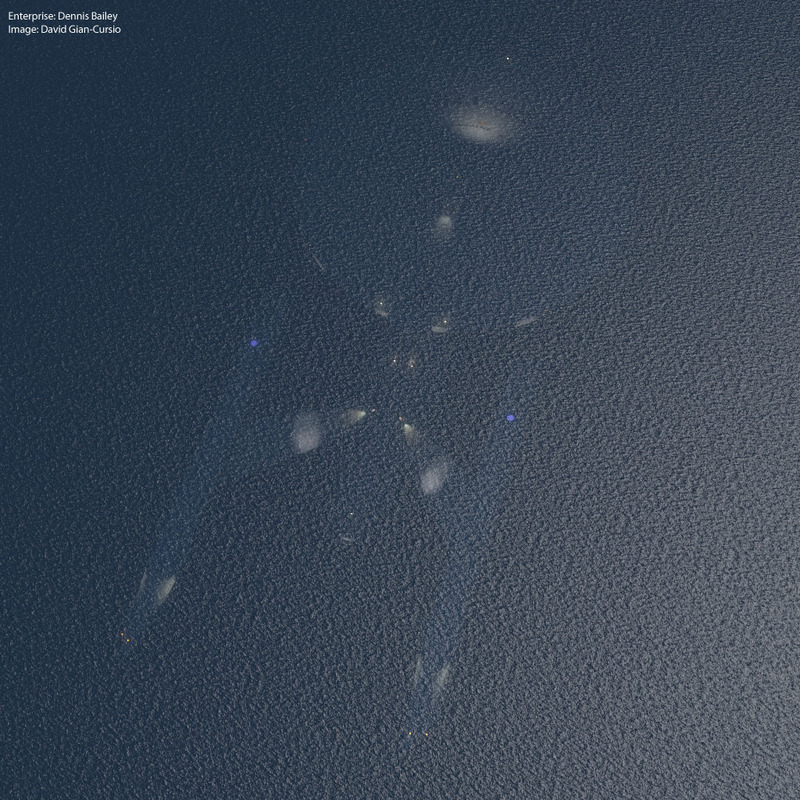 I noticed while I was doing post on this that I should’ve recolored the shuttlebay’s lights red, to match the movie. And I just realized that the other shuttle was in the bay during this scene. Oh, well. Next time.